d a n i e l l e b u r k l e o : remember that time i was in a magazine? remember that time i was in a magazine? you probably don't... because it's not out yet and it's my first time ever. and just incase it's my last time ever, i am going to do an extra long happy dance. one day, in late springtime 2011, i got an email that almost made me wet myself. unlike when i really do pee a little every time i sneeze. 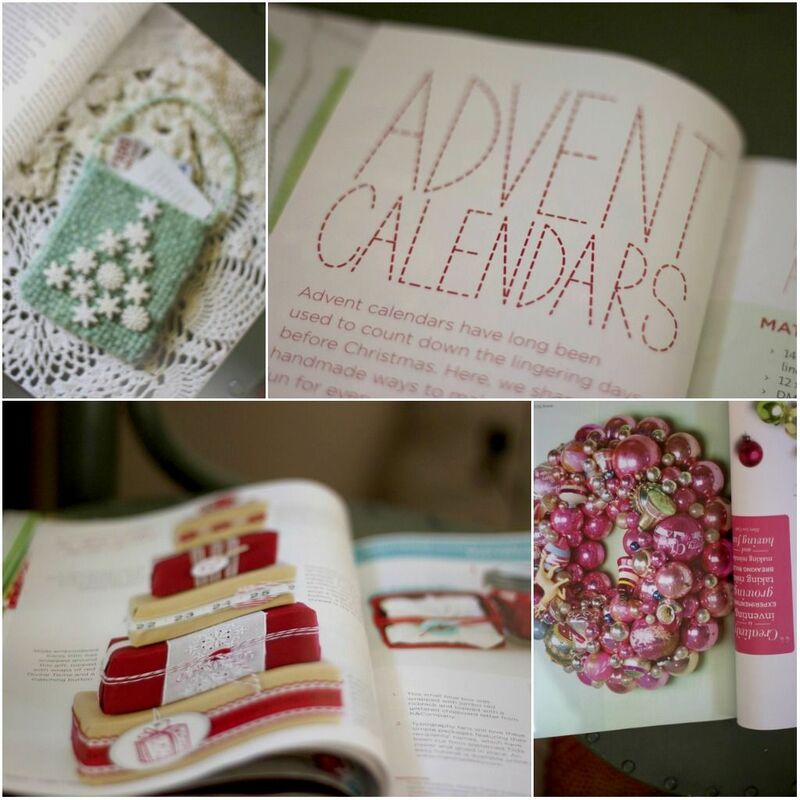 the editor of a new magazine, stitch craft create, wanted to feature little old me in their premier holiday issue. and i said no. i, of course, said ummmyessignmeuprightnowpuhlease. i had the amazing opportunity to create some of my favorite things and share the tutorials with all who will read. i made yarn wreaths with felt flowers and a few pairs of bias tape rosette earrings. i was quite pleased with how they came out if i do say so myself. i thought i might sell the wreaths but quickly realized that i couldn't part with these babies. they are my most favorite ones i've ever made. it's true. when my preview issue arrived last week i called my mom and she rushed over. she even brought me a celebratory pumpkin spice candle. you shouldn't have, mom! i kid you not when i say that we flipped through the pages drooling. i've had the magazine just about a week now and i still can't put it down. the amount of projects, DIYS, gift giving ideas, and eye candy is out of control. every time i open it i put a sticky note on another idea i love or project to add to my list. stitch craft create is so on target for everything i want the holidays to look like this year... for the way i think most creative minds would imagine it. i fell in love with every detail, not just the projects, but the photography, the layout, the fonts. oh me oh my, it's all perfection. 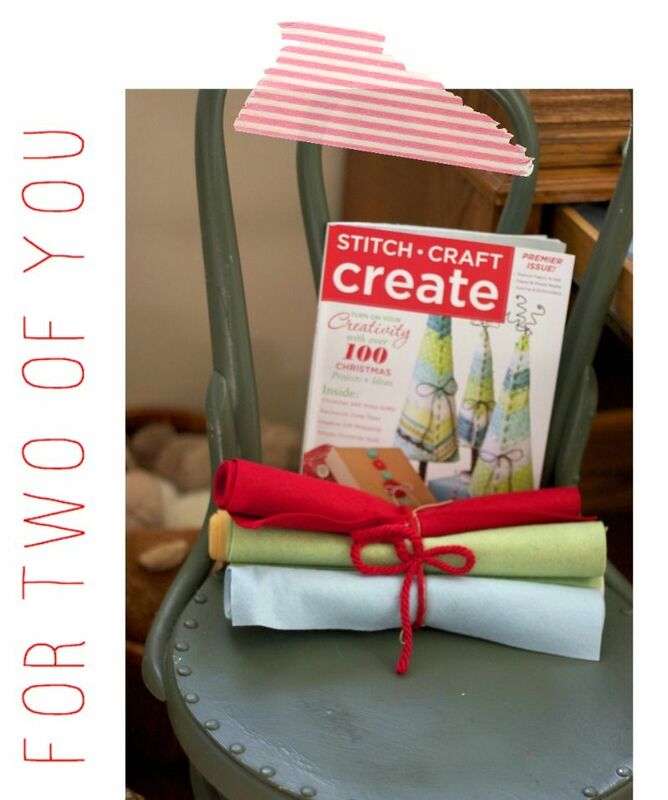 stitch craft create will be for sale in craft, hobby, sewing, and book stores nationwide on october 18th. and just when you thought it couldn't get any better…lookie here. i have a little something for two of you lovely ladies. 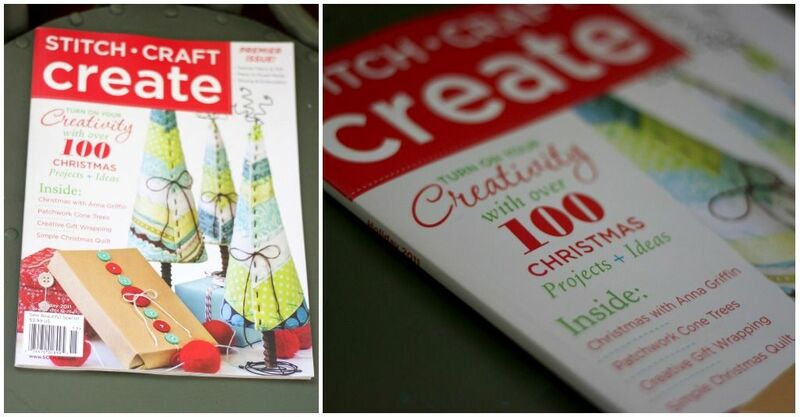 two copies of stitch craft create are up for grabs. and with each of them comes a bundle of the best wool blend felt i ever did see. all you have to do is leave a comment here and you will be entered to win. 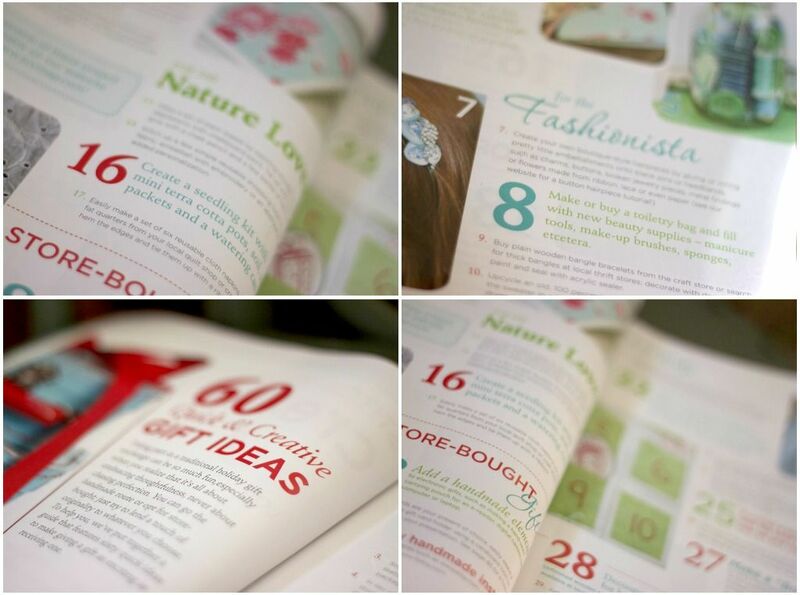 thank you to all at stitch craft create for letting me be a little part of this wonderful magazine. especially you, shannon! mark it on your calendar, girls! october 18th… christmas just got a whole lot lovelier. Yay to go, you crafty lady, you! The magazine looks awesome! The wreaths are extra cute- too! Enter me =) LOVE the wreaths - so beautiful! Congrats Danielle! How cool! That little ole magazine looks so amazing. I will definitely be scouring to find one, unless I win one of course, but whenever does the first commenter win? We shall see, we shall see. You are so awesome for giving TWO away! AND with an extra gift of felt. Too kind. Love. Want. 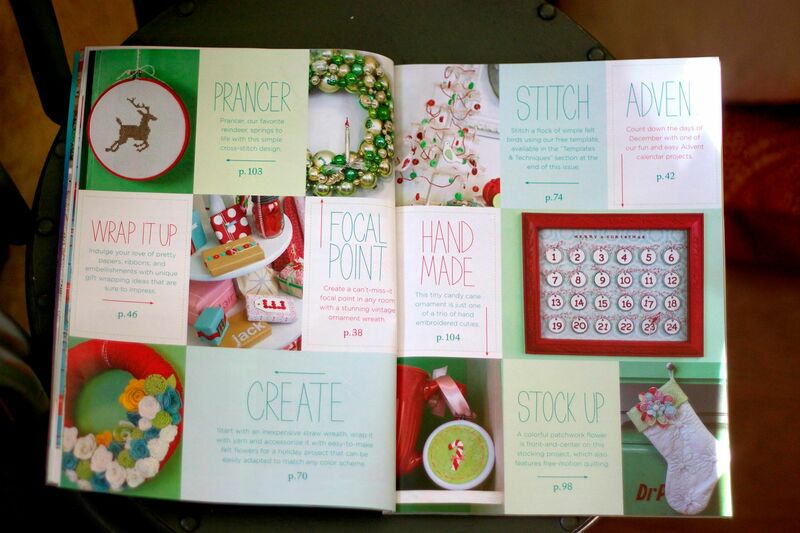 Win or lose -- I'll be looking for that magazine soon for inspiration for a pre-Christmas crafternoon. Oh gosh how lovely!! I would love to win!! Congratulations!!! That magazine looks super awesome. Being stationed in Germany, I have no chance of popping int a store to buy it, so I would love to win a copy! Yay! How fun & exciting! that is so exciting! I love the wreath you made. Its beautiful. Yeah, congratulations on this amazing success! If I don't win here, I am absolutely getting a copy on October 18th! Congrats! 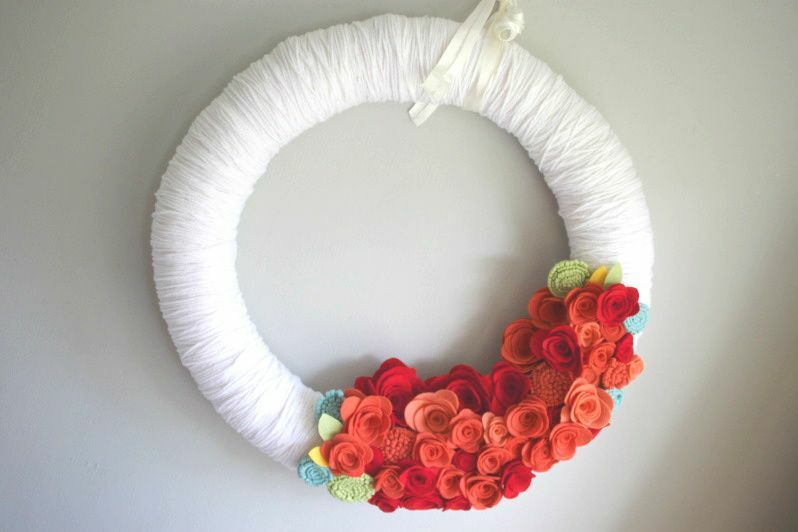 I love that wreath...def need to make one for myself! So exciting! I would love to win, but I'll definitely get the magazine either way! so cute! I definitely want to get a copy if I don't win! you are incredible!!! congrats! you should just make your own craft mag, will ya?! So I've tried to make a few of those felt flowers and they are NOT easy! I look at yours and drool! 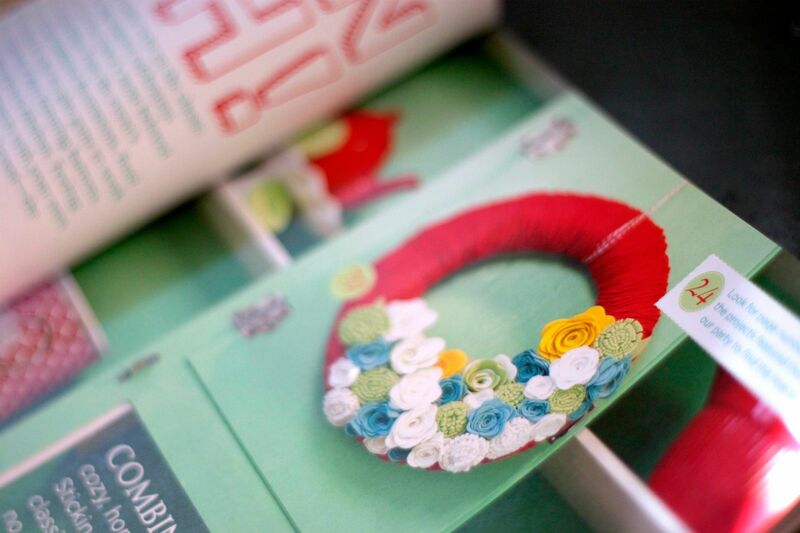 And how cool for your beautiful wreaths to be featured in an actual magazine! That is great!! Your wreath looks perfectly placed! Congrats!!! That is too cool! Huge congrats to you!! That is so exciting and your projects look amazing! wow! look at all these comments aleady! you ROCK sista! I hope you do well in whatever avenue you persue. Congratulations! That's so exciting and special to see your name in print. I would love to win this little giveaway...what are the chances that today is my lucky day?! Congrats Danielle! That wreath and those earrings are dreamy, and I love following you on Pinterest! You are so totally famous! Congrats again Danielle! Hopefully this will help people be more aware of your adoption process too! oooh, love the wreath you kept, i don't have the patience to do that many rosettes, no way. congrats, mama! Congrats! I am eagerly awaiting the delivery of my issue - winning your giveaway would only be icing on the cake! How exciting! It's well deserved!! So exciting! My calendar is marked to go search out a copy next week! Wow! What an awesome way to showcase your creativity! Congrats! Me me meeee!!!! Congrats :) I have always LOVED your wreaths. Now your famous for them! congrats...how fun! looks like a great magazine! Congrats!!! Beautiful wreath and I ♥ those earrings!!! Thanks for the chance! 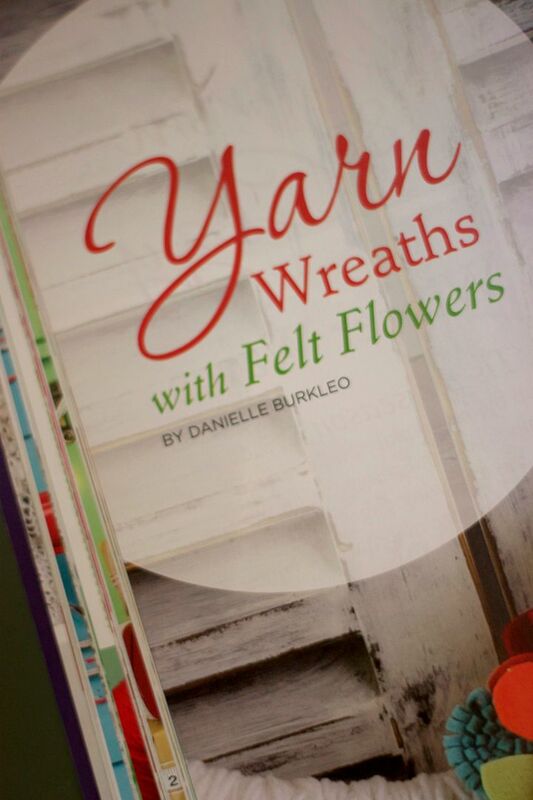 i cant wait to pick up the magazine, i love your wreaths! congrats!! Love your projects in this magazine! 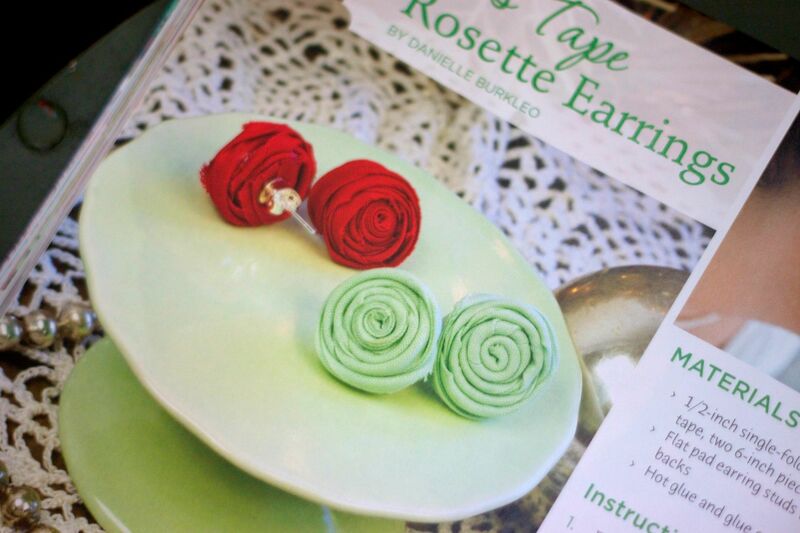 They are so cute--especially the wreath, but I love the rosette earrings, too! and i need that magazine. stat! Congrats!! That is so exciting!! How awesome is that?!? Congrats!! And that magazine looks amazing; right up my alley. Congrats!! Such an amazing opportunity! I hope it brings amazing fruitfulness in your business!! Can't wait to get my hands on the mag! Congrats!!! This looks like a must have for holiday prep! oh, congratulations! that's wonderful! (and i love that your mom bought you a candle... too cute!) this magazine looks like it could get me in the christmas mood a little early this year... that, and the new she & him christmas album. that's right, you and zooey deschanel are totally in the same category of awesome-ness. well done. No joke when I say that I knew I'd see you in a magazine one day! Congrats!! Definitely will pick up a copy if I don't win! So, so fun!!! Congrats. Can't wait to thumb through the pages! Congratulations on you magazine feature!! So cool =) I would love to win a copy of the mag...and that wool fabric is lovely!! Love your blog Danielle! So exciting! I can't imagine the rush that must be. Your wreaths and earrings are fabulous! Congrats...how exciting to see your name AND your projects in print! Looks like a great magazine and since I am a total magazine junkie I really want a copy! CONGRATS!!! That magazine looks awesome and your wreaths - gorgeous. How cool that you were featured. That is so exciting! Congrats! Ahhhh!!!! SO SO cool!!!!!!!! I mean seriously. YOU are in a magazine!!! Very very awesome:) and yay for such a fun giveaway! Crossing my fingers! just found your blog over the weekend as I tried make my own yarn wreath with rosettes -- not as easy as you make it look! :) the magazine article was beautifully done! also, fun to note, you and I are due one day apart -- hope everything is going well for you so far! wahoo! How exciting for you:) I can't wait to see that magazine in person! Congrats! SO exciting! :) also, i really love the abundance of flowers you're putting on your wreaths now. SO PRETTY. You are so extraordinarily talented Danielle!! So cool! How exciting for you!!!!!! Those wreaths and earring are amazing. The magazine looks quite inspirational too. so wonderful! i am so excited to see this magazine in person! meepmeep!! you are so fancy pants!! this is the coolest thing of all time and you are so deserving....you have the very BEST felt wreaths and i love them and you SO MUCH! i hope i win a copy but i will probably by one anyway. i won't be able to wait. congratulations, Love! eeeee! SO HAPPY FOR YOU, FRIEND! It looks amazing! 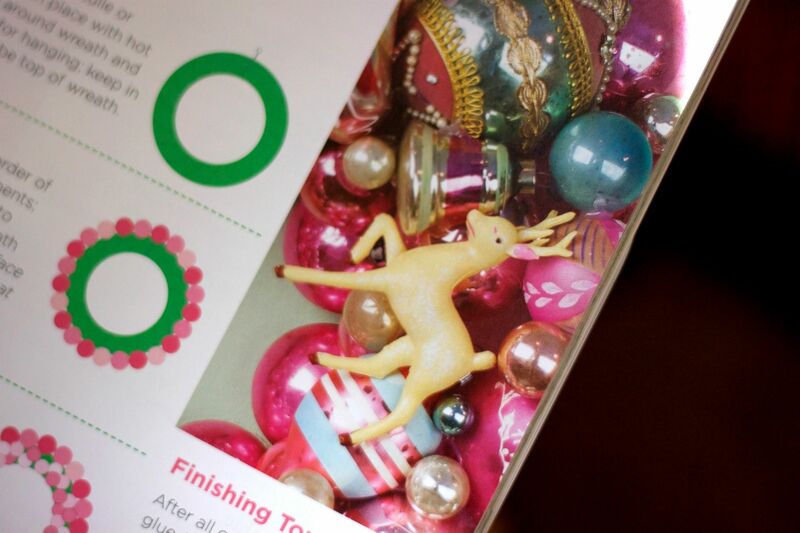 I already have a long list of craft ideas for the holidays! I better get to it now 'cause I won't have time to make it all! Congrats on the feature! blaaaaaaaa! it's like published! so legit. Love Love love LOVE it! You are so amazing. Cannot wait to see it! this is a happy day! i love the wreath that i got from you. congratulations, looks like such a cool magazine! Awesome! what fun to be featured in a magazine. Congrats! I CAN NOT wait! And I hope your hand is feeling better so you can get busy crafting! WOW! In a magazine! And the wreaths are AH-mazing!!! Congratulations! It is SO exciting to see your own name and project in print, isn't it? :) And the magazine looks amazing...thanks for the chance to get my hands on it! Yay! Congrats :) So exciting and the wreaths are gorgeous! lovely! 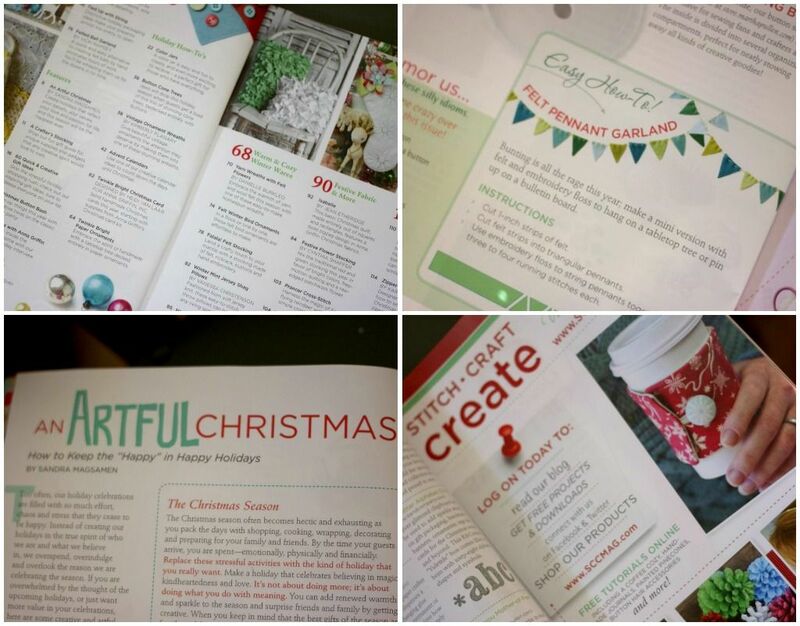 i cannot wait to purchase my copy & begin to create beautiful, affordable christmas gifts : ) congratulations & thanks for sharing! Congrats on your feature! Looks like a great creative magazine! Ohhh so excited! Congras. Those are some seriously gorgeous (and time consuming looking) wreathes. I will def be picking up a copy! You are killing me with all of these sneek peeks! I can't wait until my magazine gets here so I can see all of the wonder projects! Oh my goodness! Way to GO GIRL! I'm drooling over it already! I can't wait to go buy it! You are awesome! ummm, the red yard wreath with the blue, green, white & mustard?! TO DIE FOR!!! Seriously love it. How exciting! The book looks amazing!